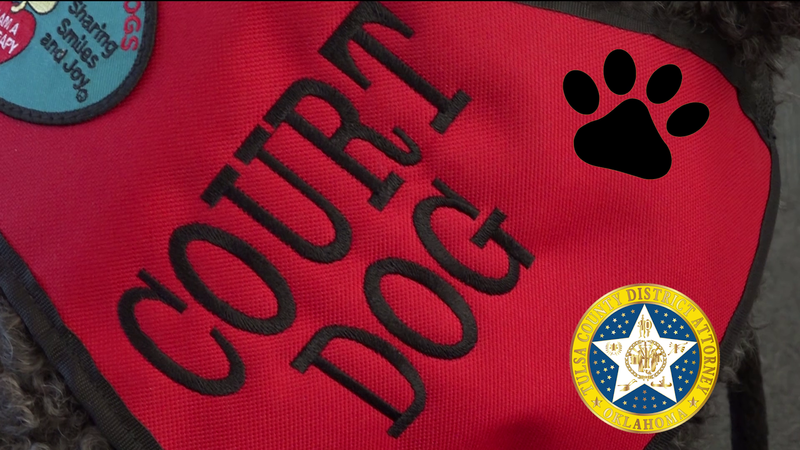 The Tulsa County District Attorney’s Special Dog Unit is a successful program that benefits children involved in the court process. The program has now grown to more than five Court Dogs. When children have suffered physical, sexual and/or emotional abuse, it is often difficult for them to speak about their experiences. Giving these children a dog as their partner in the courthouse helps to relax them and provides them with a sense of security. The trust, acceptance, and tactile comfort of a friendly dog can alter the physiology of a nervous child. Accompanied by a court dog, the child may feel safer to share past events in an unfamiliar setting. Authorized by statute (12 O.S. Sec 2611.12), these dedicated dogs and certified handlers are available to accompany children through interviews, preliminary hearings and jury trials.